Over the past few years I have found myself drawn more often towards Brooks running shoes. Brooks used to be the shoe that your Dad wore. The big, heavy Beast built up to prevent pronation and anything else, that graced the feet of many a middle age runner. Over the past several years, Brooks has transformed itself from that shoe to That Shoe. The Brooks Launch continues that evolution. This is classified as a lightweight neutral trainer based on their universal platform. There is a 9.5mm heel to toe offset. For you minimalist low to no offset people this may be too high for you. I gave it no thought after the first four steps of running. It’s a colorful shoe, bright, light green with an orange midsole. The first thing you notice is how soft this shoe is. Comfortable with a good fit. My extra high feet found no complaints with this shoe. I can actually double knot the laces with ease, although I’ve yet to have to retie a single knot in any run with with the Launch. 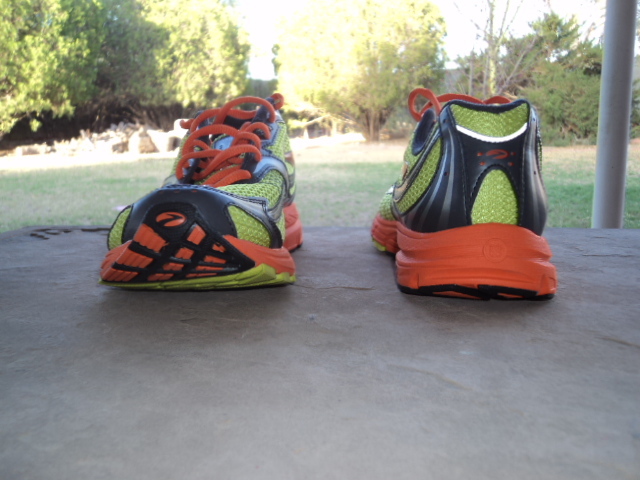 The sole provides good traction on the groomed dirt/sand trails I run on. They are holding up quite well to the abrasive nature of the trails. This shoe runs quite well. Initially I was worried about how soft this shoe might run. I thought I’d feel like I was running on squishy, wet ground. You know that feeling where it seems every time you push off you sink half an inch. Not the case. The ride is soft and firm (a contradiction I know) but no squish. It runs well, a nice transition from strike to toe off. There is no heel slippage as you run even in my case where my feet are half a size apart. The toe box is roomy, no pinching or compressing toes together. If you have a narrow forefoot this could be an issue. You will want to check out in the store before buying. My high volume, wide feet are rather comfy in these shoes. My only complaint is there is no hint of a medial wedge. If you pronate at all, this shoe will not slow down that rate of pronation. It’s not enough to cause me concern in the foot that pronates, but occasionally on uneven terrain I could feel a bit of a twist upon impact. 99.9% of the time when I run in this shoe there are no second thoughts as to what is on my feet. 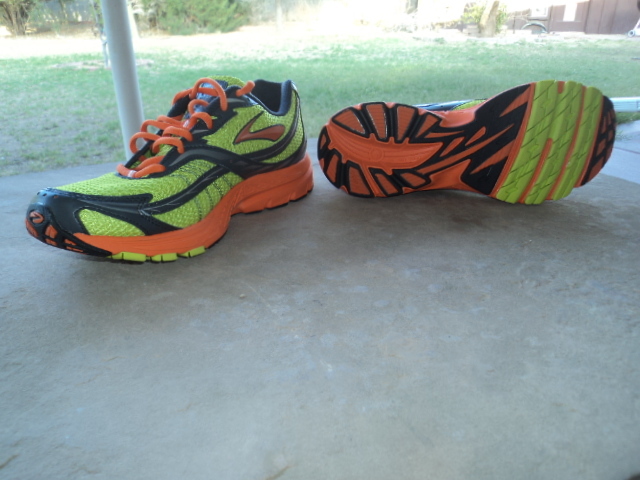 This shoe is equally adept at running fast for those threshold runs as it is cruising along just logging miles. This shoe, along with several other of the Brooks models, shows that they have listened to what the runners have had to say. The Launch is what you want in a running shoe. 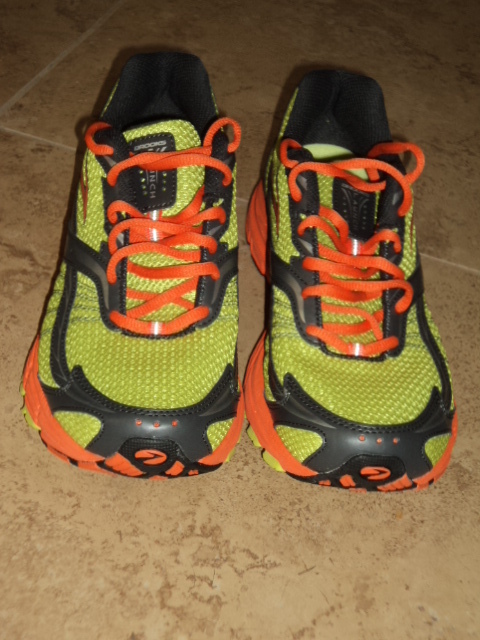 Comfortable, good fit, runs well, good transition through the foot strike. I can see Brooks making a sizable dent in the market share of other running shoe companies. This shoe warrants a look if you like lightweight neutral trainers. I fully agree with you and love this shoe. Too bad they’re discontinuing it. The model you have there is the last one, I think. Unfortunately the Brooks Pure Flow is replacing the Launch.